1. According to Style.com, SEA CREATURES are really trendy right now. Here are some examples that I am wanting to add to my wardrobe! This adorable, yet sophisticated, seahorse necklace from J.Crew is a must have! 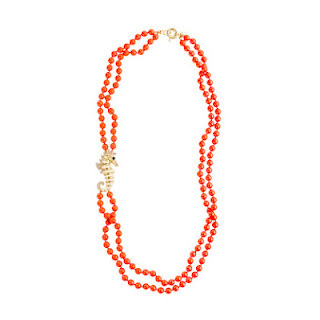 The orangey-red color is PERFECT with navy! 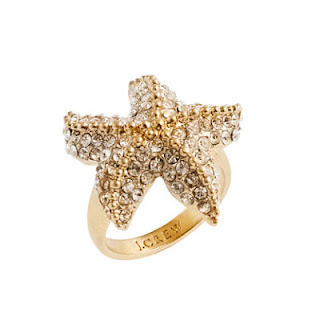 This dazzling starfish ring is also from J.Crew! I was hoping to purchase this when I visited the Factory Store during my last visit , but I spent all my money and forgot about it! Whoops! 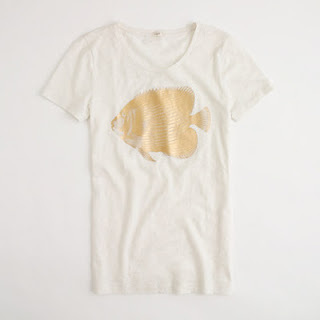 You can score this cute fish tee from the J.Crew factory outlet! (PSHH! It's on sale!) I like how it is so plain and simple and it would look great with some bright shorts! OMG! Oh how I love this top! 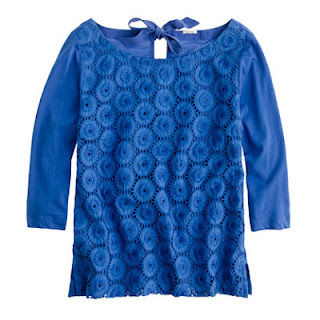 The lace is adorable and I can't help but lust over that little bow on the back! Not to mention, wouldn't this look adorable with that orange seahorse necklace? Isn't this pink dress so fun and flirty? I wanted to get this dress sooo bad, but unfortunately the store was out of my size. 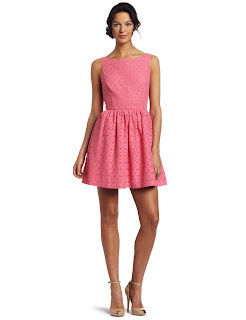 And if it wasn't cute enough, the pink lace is adorned with gorgeous orange trim. This darling floppy hat comes in lots of colors and styles! 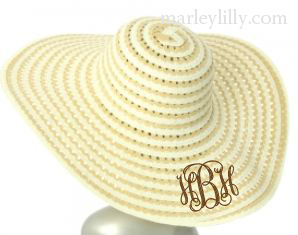 You can even personalize it with your own monogram! 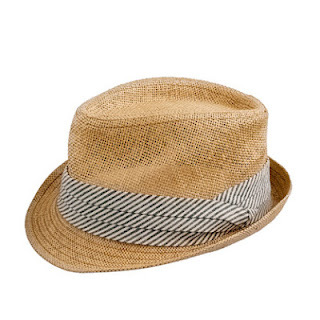 This fedora would be a super trendy addition to any outfit. I think the striped ribbon around it is a nice touch that adds a little pizzaz! 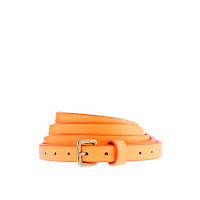 This neon orange belt is just what you need! It is the perfect summer essential to add to a tucked in shirt and a pair of shorts. How about these bright nike shoes?! These actually make me want to go to the gym! Ok, I can't help it.... I am IN LOVE with these pants! 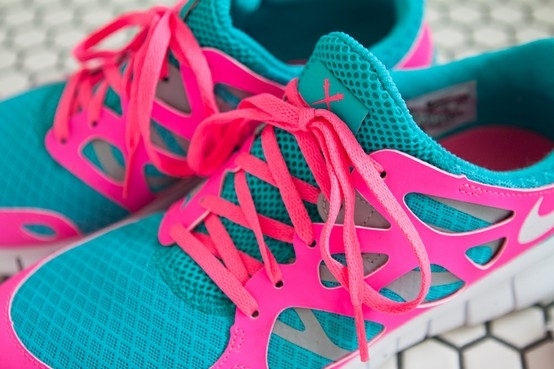 They are the perfect combo of neon and lace! The pink is so lovely and the details are..... well just PERFECT! These would definitely be in my closet (if I babysat... for a looooong time).